Reminiscent of Malibu in the 1950's, extraordinary fully renovated bungalow featured as the cover in Architectural Digest Spain July 2015 issue. One of only 8 houses ON the Misty Cliffs beach, a small an exclusive beach village 45 minutes from Cape Town, best known for its tranquility and beauty. 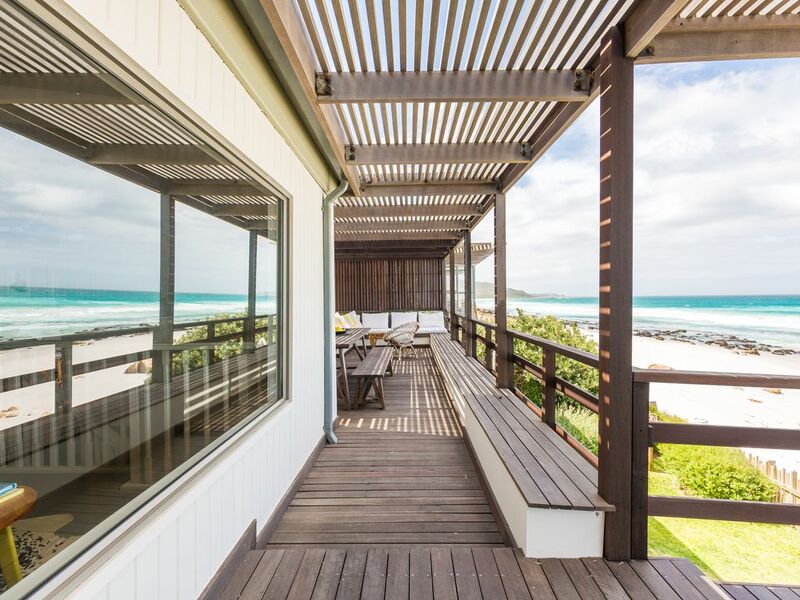 Breathtaking views of the sea from every window. 3 bedrooms on suite, fully renovated with exquisite taste. You walk onto your lawn and then to the sandy beach. Outdoor seating area on each floor. Complete privacy. Situated directly in front of a major surfing beach, with miles of beach front or a mountain to hike behind it. Shops and great restaurants in nearby villages, as close as 10 minutes away. Only 45 minutes from Cape Town.